Female customer gets slimming and cellulite therapy at professional beauty clinic. Adding liposuction after weight loss surgery can complement your efforts to sculpt your body and get rid of pesky fat deposits that are difficult to lose. If you’ve made the commitment to losing weight with bariatric surgery, adding an exercise program and adopting healthy eating habits, the pounds have steadily melted away until you look better than ever. After years of dieting and extreme fitness regimens, you’ve found something that works for you. There is only one problem–you may still have stubborn deposits of fat that are clinging to trouble spots. Fortunately, you have options when you want to sculpt your body. Smartlipo Triplex can complement your bariatric surgery. Bariatric surgery can do wonders, especially when you stick with the program and stay the course until you finally get to your goal weight. However, you may still find that fat hangs on in typical, trouble spots, such as your abdomen, your upper arms, your buttocks, and your thighs. This is a common problem, especially when you have lost a significant amount of weight. There is going to be some fat that doesn’t want to go away. You can target that fat with Smartlipo Triplex in addition to your bariatric surgery. Smartlipo Triplex can complement weight loss surgery by targeting stubborn fat in your body. It combines liposuction and a laser to give you the best results. The procedure begins with minor incisions in areas where you have excess fat. A cannula, or hollow, thin tube, is inserted into the incisions. A laser is used next, inside the cannula, to tackle fat cells. They become liquefied in the process, making removal through suction much easier. The heat of the laser will trigger your body to rejuvenate and make the skin tighten once you have healed from your procedure. Your incisions will be closed and after a brief recovery, you’ll be on your way home from this outpatient procedure. Once the swelling and after effects are over, you’ll see your body respond to your treatment. You’ll notice a tighter, smoother figure as your fat deposits are removed. You need to understand that Smartlipo Triplex is a complementary procedure to your bariatric surgery, not a weight loss solution. Whether you have lost 100 pounds or you are at your ideal weight but have struggled with fat deposits, Smartlipo Triplex is aimed at sculpting your body. It cannot suction away excessive amounts of weight. However, you can enjoy the benefits of liposuction after weight loss surgery when you are completing your journey and want to get rid of those final fat deposits. If you’ve lost the extra weight but still want to enhance your figure, Smartlipo Triplex provides you with a minimally invasive technique that will help you to look your best. Like bariatric surgery, Smartlipo Triplex is not a magic fix. You will need to continue to eat a balanced diet and get plenty of physical activity. Otherwise, you could gain weight again. With weight gain, you will accumulate deposits of fat again. To ensure that Smartlipo Triplex is a long-term complement to your bariatric surgery, don’t let your resolve weaken. You will find that you are inundated with options when it comes to enhancing your body. There are various types of exercise equipment and exercise programs that could give you ideal results. Creams and supplements may assist you in targeting resistant deposits of fat. Additional procedures may be the best option for you. The only way to find out is to research all of your alternatives before you decide if Smartlipo Triplex is the best complement your weight loss surgery. You’ve already endured bariatric surgery and all that it entails. You need to understand that there are risks involved with any type of procedure, including Smartlipo Triplex. Talk with your physician to make sure that you are healthy enough for the procedure and there are no underlying conditions that could cause complications. Be realistic in your expectations as well. Make sure that this procedure will give you the type of results that you expect. Talk to your bariatric surgeon about your concerns and find out if you are moving in the right direction. Whether the skilled surgeons at Olde Del Mar Surgical performed your bariatric surgery or this is the first time that you have considered them for your weight loss needs, you will find a team of caring experts at your disposal. Learn more about the Smartlipo Triplex procedure. 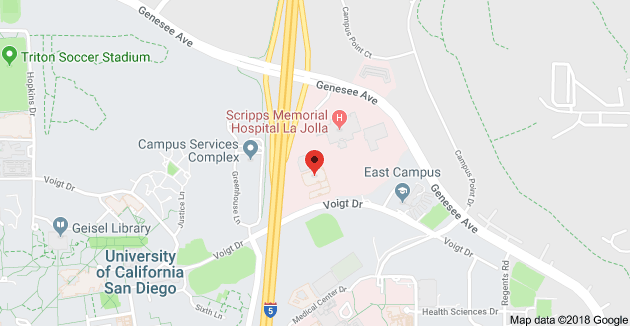 The medical staff at Olde Del Mar Surgical is dedicated to offering you a host of comprehensive services, including bariatric surgery, a dietician, nutritional support, and cosmetic procedures. In addition to Smartlipo Triplex, you can also delve into Cellulaze to tackle cellulite and Precision TX, a laser facelift. You have one life to live and one body. You’ve already chosen bariatric surgery to help you reach your goals. It’s time to go the distance and find out if adding liposuction after weight loss surgery with Smartlipo Triplex will be the perfect complement to your previous weight loss efforts. 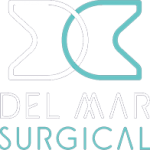 The team at Olde Del Mar Surgical will be happy to discuss your options with you during your consultation. Give us a call at 858.457.4917.